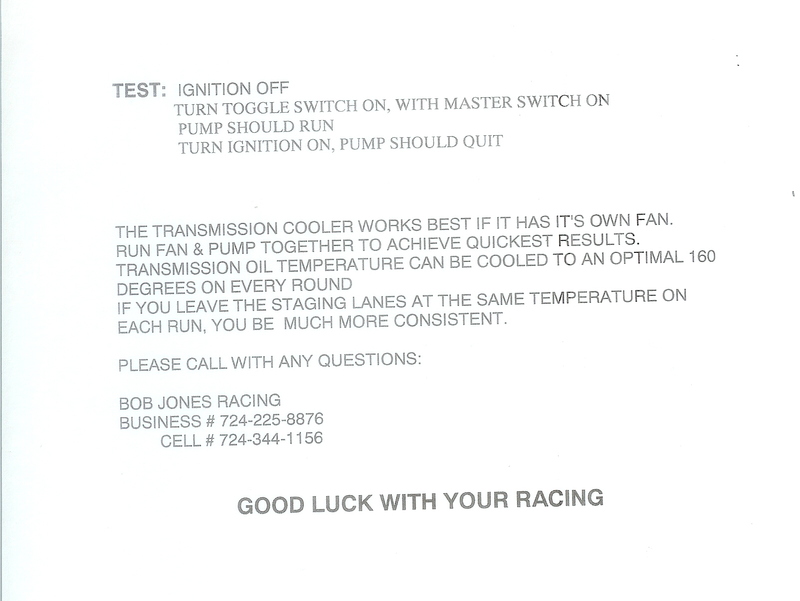 "The Jones Transmission Cooling Pump gave me one less thing to worry about between rounds." "This system is one of the best investments I have made in my racing program." 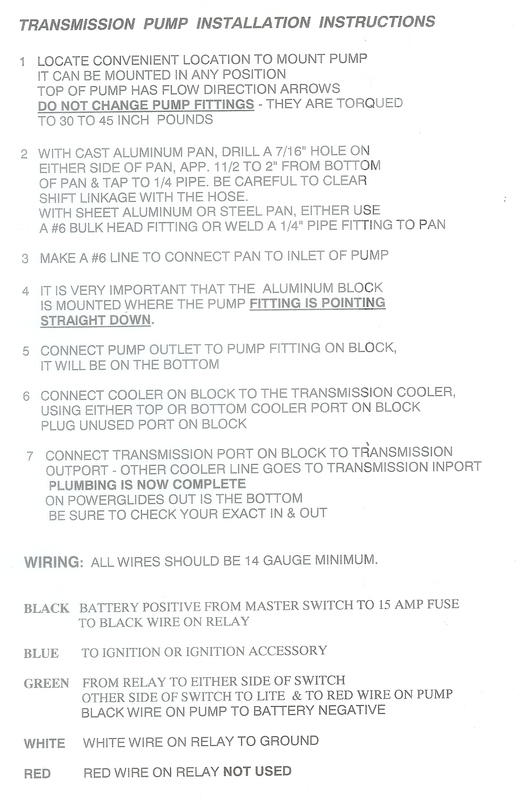 Pump, wiring and adaptors. *Must provide your own lines and fittings. 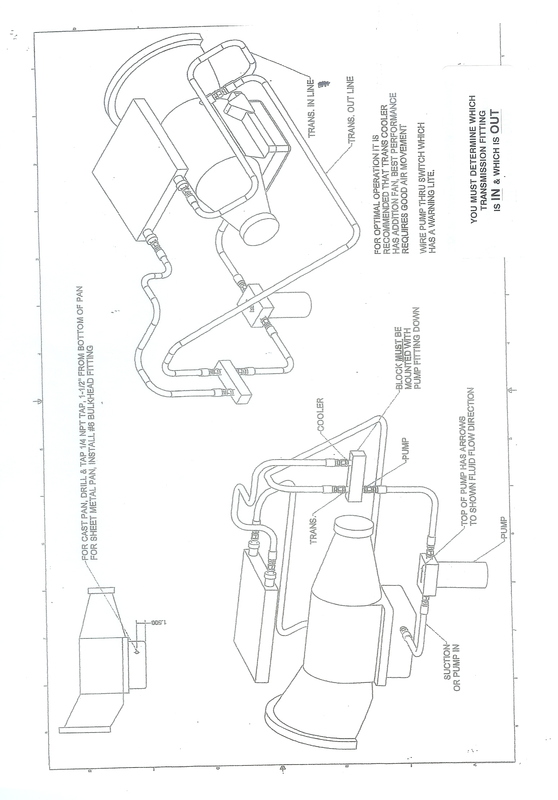 Pump can mount in any position. 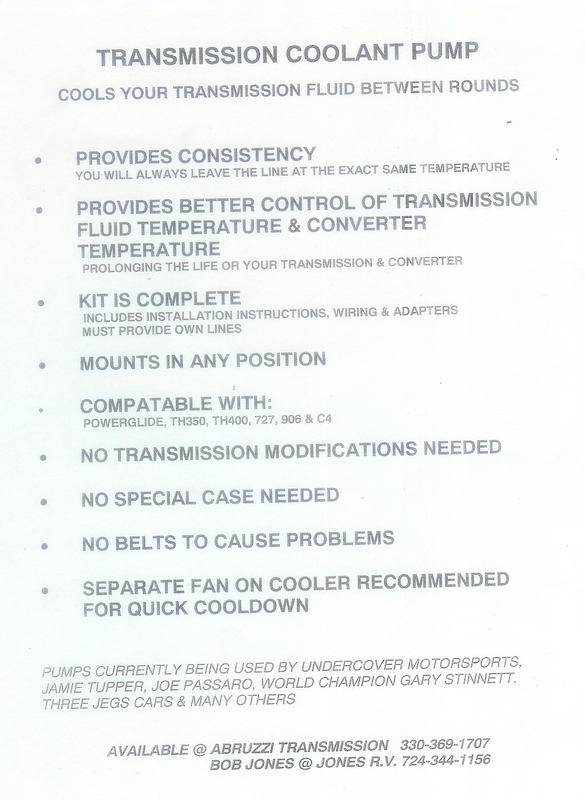 No internal modifications to transmission or case. Compatable with Powerglide, TH350, TH400, TF727, TF904 and C4.